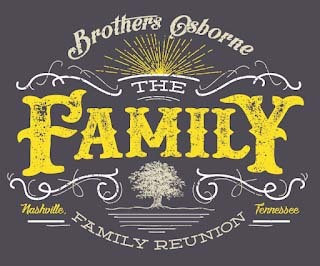 Brothers Osborne 3rd Annual Family Reunion Fan Club Party Registration Open! You must be a Premium Fan Club Member for a chance to attend. Winners are chosen at random from all entries. You can join the Family here for $20! Tickets: Fan club members's may enter for a chance attend. Join here.